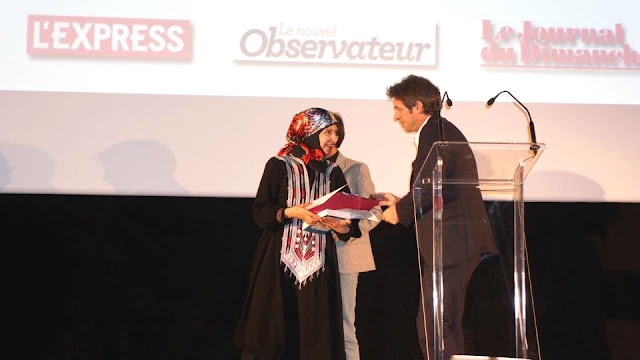 Al-Maqtary received the award at a ceremony in Paris, yesterday, with the presence of Najat Vallaud-Belkacem, France's Women's Rights minister. You may listen to the audio interview with al-Maqtary at the end of the page (here). Warmest congrats to Boushra, to all Yemeni Women and Women all over the world!